When I first got my bulldog, the first thing I bought was his collar and leash! After all, you’re going to need the best collar for bulldog to identify him when walking or if he gets lost. Plus, it’s easy to attach it to his leash when going out as well! But what is a good collar for English Bulldog? Read on as I show you the three best bulldog collars to invest in now! The primary reason why people invest in collars is for identification purposes. Not only do collars have the unique styles, but they also come with tags that you can use to put your bulldog’s name in. It’s an economical way to identify your pet! There are harnesses available, but for those who want something easy to put on, then a collar is best. Why? Because all you need to do is chain on the leash to the collar and you’re good to go. Dogs will feel more comfortable wearing the collar coma red to the harness, provided that you do not tug it too hard. 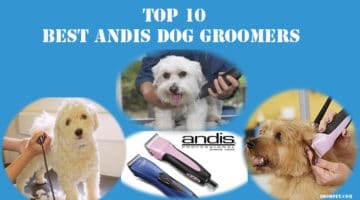 Of course, we want our pet always to look their best. Clothes are a way to go, but it’s extremely hot, and I do not want my dog to go through that! With a collar with eccentric colors and styles, they’ll garner a lot of compliments without having to go through the hassle of putting on clothes or whatnot. Your bulldog will look effortlessly cute. That’s why it’s imperative to do your research and invest in a collar that first your dog and their style. Bulldogs, just like any other breed, will need something durable and comfortable. Not only that but get something stylish to suit their personalities as well! A good collar should be durable and with the premium material to last for the long run. Here are my three favorite English Bulldog collars to use, no matter your dog’s size or gender! What I love about this dog collar is that it’s NCAA-licensed and comes with all your favorite football and basketball teams! It’s definitely for those who are into sports and want to show their support, along with their bulldog! 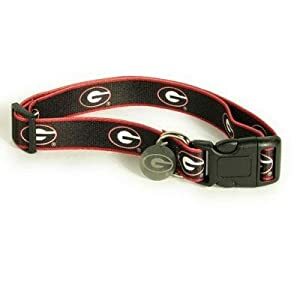 You can find a lot of college teams here, and there is even an ID tag made with the engraved team logo, with the option of adding your dog’s name as well. With different colors and designs to choose from, your dog has a style and official identity to spot him easily. Plus, the collar is strong and easy to put on. Now, this is more for the stylish and punk dogs out there! You’ll love the details of this collar, as it has the gothic spikes and a shiny skeleton in the center. 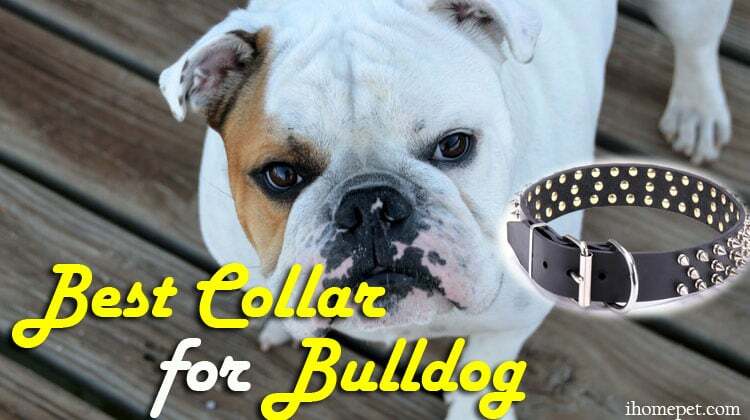 The collar has a strong buckle and can be adjustable according to your bulldog’s size. 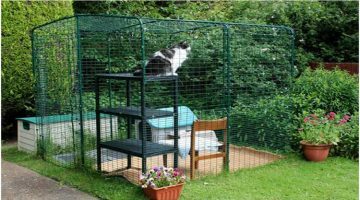 And not to worry about the material, as it’s thick and durable, made to last for a long time. So no matter where your dog goes, it will always stay strong. You’ll be surprised at how affordable it is, but with the awesome quality that is both comfortable and stylish. I love it and, it surpasses expectations! This is for your little Bulldog gals out there! 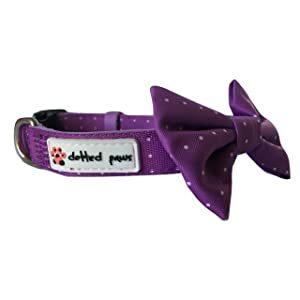 The collar comes with a beautiful and adorable bow tie, with polka dots and bright colors. It comes in different sizes and colors to choose from, and it has your bulldog look dapper. 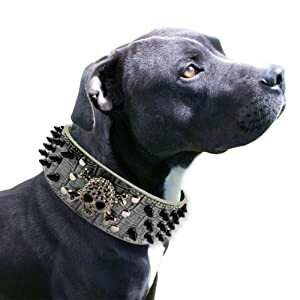 In addition to that, the collar is easy to adjust and put on, and my dog has received a lot of compliments because of it. As for its strength, I believe that it can withstand any weather or whatever trouble my dog gets into! It seems to put up well after a few months, and there are no obvious complaints from my bulldog. She seems to quite enjoy it, actually. And that’s all, folks! Any of these three collars for bulldogs are suitable for your pet. Now you’ll be able to walk your dog and show him off in style. He’ll also have a protection and identity when with other dogs in the park or daycare. I hope that this article helped you find the best collar for bulldog! So don’t wait any longer and invest in the right one for your dog today. If you want to ask anything or send in your recommendations, then comment down below. I would love to hear what you have to think.